Discussion in 'Designers and Collections' started by honeycombchild, Sep 22, 2009. 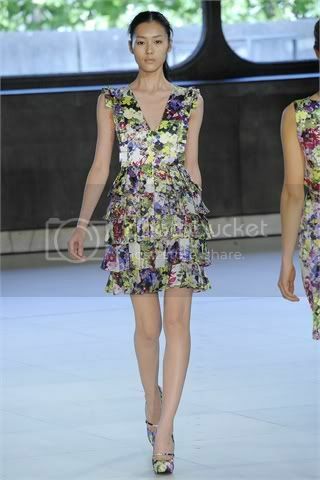 I always love Erdem. This collection is beautiful. The first six looks had me worried, but the lace trenchcoat is spectacular once again and the blue/lace print pieces are perfection. 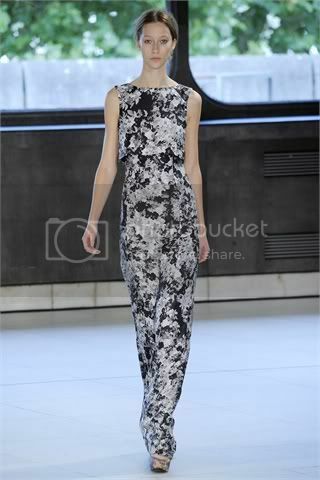 Not as spot on as his FW collection, but beautiful nevertheless. He'll always be a better Valentino to me. Lovely just lovely. The flowers the lace. More people need to be wearing this label and more editors/stylist etc should be using it. 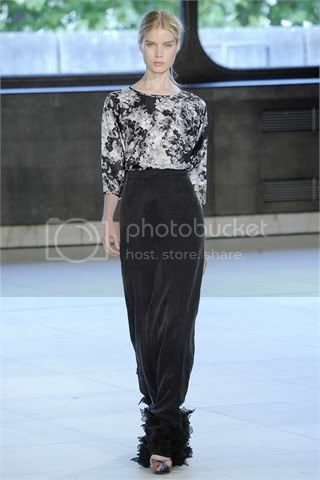 This is what Valentino should look like not that tryhard copycat look the acessories designers are putting out. The lace trench is lovely, however it reminds of a similar cream lace trench Burberry did a few years back for an A/W collection. 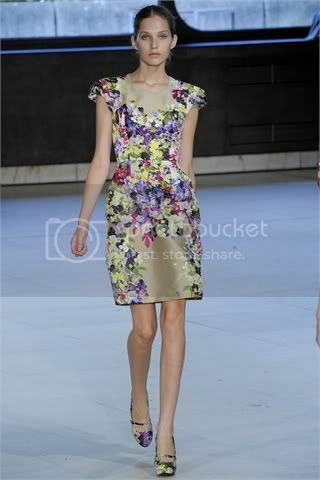 Absolutely adore it, Erdem never fails. These pictures don't do this collection justice. All those details should be viewed on big screen, in high definition. It's just really gorgeous close up.